Although women constitute half the population, their immeasurable influence on our world today is often overlooked, tucked away in the corners of history either unacknowledged or readily forgotten. In honor of International Women’s Day, we wanted to shed light on five women from across the world whose remarkable work advancing issues of conservation and the environment as well as the rights of women and indigenous peoples has left an indelible impact on us all. While it often requires more research to discover the stories and accomplishments of incredible women from all cultures and time periods, the result is an empowering reminder that women have always been an invaluable resource to humankind. We encourage you to learn more not only about the women profiled here, but about any of the countless women working fiercely to make the world a better place, in ways large and small. 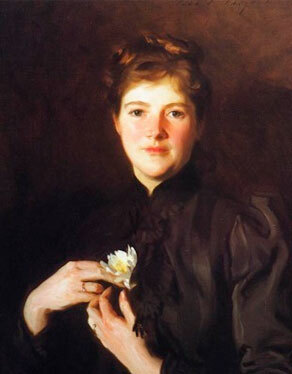 Using the social skills imparted on Gilded Age socialites, Hemenway secured the establishment of the Massachusetts Audubon Society, which in turn used its influence to pressure the state legislature into outlawing the feather trade in 1897. Over the next fifteen years, more women vowed to stop wearing feathers (including Queen Victoria!) and sister Audubon societies formed in other states, which led to the founding of the National Audubon Society in 1905. With the increase in support for bird protection, the U.S. government officially banned the plume trade in 1913, and passed the Federal Migratory Bird Treaty Act in 1918. Hemenway remained active with the Massachusetts Audubon Society and lobbied for the organization’s purchase of 43 acres of land to preserve in 1916, today encompassing nearly 2,000 acres as the Moose Hill Wildlife Sanctuary in Sharon, Massachusetts. New Zealand has the distinction of being the first country in the world to pass women’s suffrage into law with the Electoral Act in 1893. While there were some exceptions in this legislation, it notably extended not only to the European-born white women of New Zealand, but also the native Māori women, many of whom were landowners and therefore felt they had a right to political representation. One Māori woman who notably advocated for women’s suffrage in New Zealand was Meri Te Tai Mangakāhia. Due to the country’s colonial government excluding native representation, many Māori tribes united to establish an autonomous Māori Parliament in 1892 – but the representatives were all men. As wife of the first Premier of the Maori Parliament, Meri Mangakāhia gave a formal address to the representatives asking them not only to grant women the vote, but allow them to become members of the Parliament itself. The latter request was even more progressive than her European counterparts, but Mangakāhia suggested that perhaps Queen Victoria would be more receptive to issues of Māori rights were they communicated by fellow women representation. 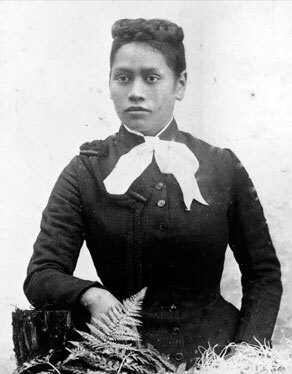 Women were granted the right to vote in the Māori Parliament in 1897, and Meri Mangakāhia remained active in women’s issues and Māori issues for the rest of her life. You can read her groundbreaking address here. 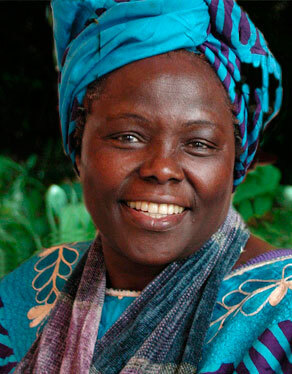 Born in Kenya in 1940, Wangari Maathai represents a series of firsts: she was the first East African woman to earn a doctorate degree, the first female university professor in Kenya, and the first African woman and first environmentalist to win the Nobel Peace Prize. She advocated for democracy in Kenya, fought on behalf of women’s rights, and pushed environmental issues to the forefront of Kenyan society. Integrating these pursuits, Maathai founded the Green Belt Movement in 1977, which synthesized the issues affecting poor and rural Kenya and created a blueprint for environmental initiatives today. A grassroots initiative, the Green Belt Movement sought to foster community development through stewardship of environmental conservation, particularly focused on empowering women. By the 1970s, deforestation in Kenya was a growing problem, which impacted the food resources for rural communities and left families vulnerable to malnutrition. Seeing a clear solution, Maathai began the Green Belt Movement by enlisting women to install 600 tree nurseries across Kenya. Over the next ten years, it grew into a pan-African network of women working to combat environmental degradation through community education and reforestation, with more and more women establishing their own income, assuming positions of leadership, and subtly shifting societal views on women’s roles. Because of the GBM’s high-profile influence and her own political activism, Maathai was jailed twice and beaten by police during a peaceful protest in 1992. Although Professor Maathai passed away in 2011, her legacy lives on in the current work of the Green Belt Movement, and the countless environmental initiatives it inspired. The GBM sponsors 5,000 tree nurseries in Kenya as well as community education programs for women and children to learn about peace, politics, and sustainable development. Internationally, the GBM has partnered with the U.N. Environmental Programme to launch the Billion Trees Campaign to combat the effects of global warming. Today ranked first in the world on women’s rights issues, Iceland has a long tradition of advocating gender equality. Cultural examples of empowered women date all the way back to the Icelandic sagas, and the practical consequences of a traditional seafaring male population saw Icelandic women assuming roles of leadership in their communities over time. In the 20th century, Iceland took leaps forward with the passing of women’s suffrage in 1915, and a nationwide strike in 1975 that made headlines around the world. Protesting a stark wage disparity, approximately 25,000 women across Iceland “took the day off,” and demonstrated their vital role in society as the daily routines of the country ground to a halt without them. 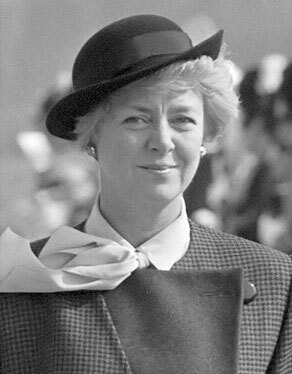 In the wake of this monumental event, Iceland set up the Gender Equality Council, passed the Gender Equality Act, and elected the world’s first female president, Vigdís Finnbogadóttir, in 1980. While the position of president is more of a ceremonial figurehead, Finnbogadóttir was an active environmentalist and advocate for girls’ education and the preservation of Icelandic culture. Re-elected three more times, she still has the distinction of being the longest-serving female head of state, at 16 years. The Civil War in Guatemala broke out in 1960 and marked the beginning of a 36-year violent struggle between a series of conservative and/or military dictatorships and rebel groups primarily composed of the country’s rural poor and indigenous populations. Prior to 1960, leadership in Guatemala vacillated between U.S.-backed military dictators, democratically-elected socialists, and leftist revolutionaries, which inflamed the stark divisions between Guatemala’s European-descended upper classes, middle class workers, and poor indigenous laborers. Rigoberta Menchú, a K’iche’ Maya woman born in 1959 to a poor family in Laj Chimel, grew up and came of age in this context. As a teenager, she was involved with social reform activities through the Catholic Church, and at the age of 20 joined the Committee of the Peasant Union with her father. But between 1979 and 1984, her mother, father, and two brothers were all murdered by government forces, in a wave of state terror that affected both rebels and civilians. In 1980 alone, an estimated 5,000 Guatemalans were killed by their own government. Increasingly active in organizing strikes and demonstrations for worker’s rights, Menchú joined a radical leftwing group to educate indigenous populations against military oppression. In 1981, she was forced to flee to Mexico, where she continued to organize resistance activities and fight for the rights of indigenous peoples. She won the Nobel Peace Prize in 1992, and after the Civil War’s end in 1996 campaigned for legal prosecution of Guatemala’s government leaders for the extensive human rights abuses the state committed. 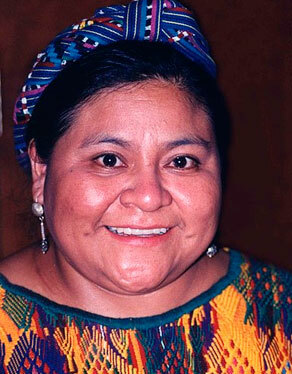 In 2007, she formed an indigenous political party and ran for president of Guatemala. Wangari Maathai photo by Martin Rowe. Vigdís Finnbogadóttir photo by Rob C. Croes with Iceland's National Archive. Rigoberta Menchú photo by John Mathew Smith. With Halloween coming up, we are in the midst of the most ghostly time of the year.